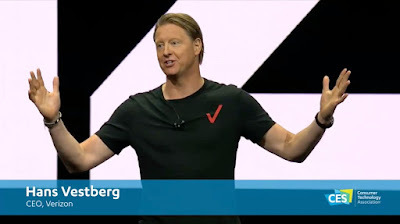 Verizon CEO Hans Vestberg did the keynote in the Consumer Electronics Show (CES). One of the things that he revealed during his keynote is how 5G services are dependent on the eight different 5G currencies (performance metrics). It is a well known fact that 5G is far superior than the previous generation wireless technologies (Read: 4G vs. 5G). 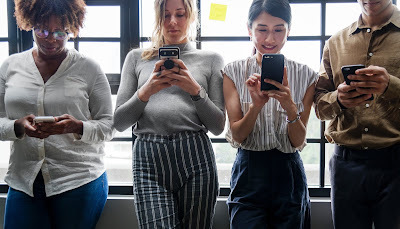 5G isn't just for mobile handsets - and supports a myriad use cases, beyond providing 5G connectivity to mobile phones. However, the big question in everyone's mind is how are the service providers going to monetize on their 5G investment? Hans speech at CES show provides some hints on how Service Providers are planning to monetize on the 5G investment. While most of these are performance metrics related to 5G services - it also gives some insights on how the Service Providers are planning to monetize 5G services. Traditionally, wireless services are monetized based on the bandwidth needs. However, 5G is different. Given the fact that 5G is going to support use cases such as IOT, AR/VR, Robotic Surgeries and Live TV, service providers can cash-in on the additional performance indicators of the service. For example, using network latency as a currency can allow service providers to charge customers differently based on the applications served by the network. If the application is latency sensitive (such as robotic surgery), customers may pay a premium to avail the service. Similarly, use cases such as IOT would result in more 5G connections hitting the small cells - while the bandwidth consumption of those devices may be very low. 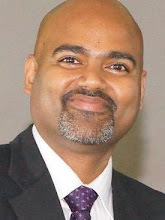 Customers availing such IOT services can be charged based on the number of 5G connections. 5G provides unimaginable possibilities to both the service providers and the customers. It is exciting to watch the 5G technology evolution and adoption. 5G deployments have just started in a handful of countries and we still have a long way to go to talk about monetization of 5G services.